Eric Bell explores Vietnam’s frequent wildcat strikes and reflects on where they could be going. In Vietnam’s industrial zones — dotting the edges of major urban centres in relative isolation from one another, with a few dozen factory compounds in each zone — it’s not uncommon to see workers refusing to enter their workplaces. This is the wildcat strike, a frequent phenomenon in the country. What is the nature of these strikes, and what potential do they hold for creating a new labour movement — whether in a form echoing previous eras or some unforeseen model? Working conditions under French colonial capitalism in Indochina (which today are the states of Vietnam, Cambodia and Laos) were, unsurprisingly, terrible. From the early 20th century, strikes and labour militancy began to appear in the major industries — especially rubber plantations, textile mills, ports and railways — at the same time as the anticolonial movement was developing. This continued into the Japanese occupation of Vietnam during World War II and through the First Indochina War (1946-1954). Such labour resistance was not all undertaken by groups affiliated to Ho Chi Minh’s Communists. There were Trotskyist and autonomous unions, as well as wildcat strikes by unaffiliated workers, in addition to activism by groups affiliated to the Communist Party of Vietnam (CPV) and its predecessors. The Geneva accords of 1954 divided Vietnam into the “Communist” North and the anti-communist South. The South Vietnamese government legalised the right to form labour unions in 1956, although they were in practice suppressed, culminating in overt repression and arrest of labour leaders in the early 1960s. Nevertheless, throughout the Second Indochina War until its end in 1975, South Vietnam saw quite a few labour struggles, including Saigon’s two-day general strike of 1964. There was a vibrant movement with competing union federations. In addition to the General Confederation of Labour (Tổng Liên Đoàn Lao Động Việt Nam), which received support from the North, the AFL-CIO undertook a major effort to build an anti-communist labour movement in South Vietnam, the General Confederation of Workers (Tổng Liên Đoàn Lao Công Việt Nam), supported by the CIA and other American state departments. There were also other, smaller union federations, including Catholic and Buddhist organisations. Less is known about the North during this time. After the Communists established themselves in Hanoi, the private sector in the North — comprised mainly of small enterprises — ‘exploded with labor disputes’, but these largely disappeared with the introduction of a new labour code in the mid-1950s. There were few strikes after that, and the sole legal union federation was part of the state and management apparatus. Workers had a high level of job security. Slack labour discipline in the state sector led to workers not showing up for work for weeks on end, or sleeping and cooking during their shifts, without being fired. They also had some limited say over production decisions. After the end of the Second Indochina War in 1975 and the reunification of the country the following year, Vietnam almost immediately entered an economic crisis. This ultimately led to the abandonment of the planned economy and the adoption of a market economy through reforms known as Đổi mới. These reforms were officially announced in 1986, but smaller-scale reforms had been gradually introduced since 1979. Foreign capital started entering the country by the late 1980s. From that time until 1994, there were around 100 recorded strikes — mainly, but not exclusively, in foreign-invested firms. In Vietnam, strikes have been legal since 1994 (in contrast with China where they are officially neither legal nor illegal, but in practice generally treated as illegal). In the first few years after legalisation, small numbers of strikes were recorded. Since the mid-2000s, however, there have been an estimated 300-500 recorded strikes a year, according to official government statistics. (These numbers should be viewed with caution, as there is no official definition of a strike and no standard methodology for recording the figures.) The majority of recorded strikes — between 60 to 80 percent of all strikes each year — occur in Ho Chi Minh City and the two neighbouring industrial provinces of Binh Duong and Dong Nai. These three southern regions together make up the economic hub of the country. Many industrial zones and much of Vietnam’s inward FDI are centered there. Although strikes most often occur in foreign-invested enterprises, they are becoming more common in domestic private enterprises as well. Strikes in State-owned enterprises (SOEs) are rarer, although not unheard of. Strikes in SOEs seem to have declined since 1995, corresponding to the processes of privatization and worker lay-offs. Strikers are usually young, female migrants from rural areas, reflecting the current composition of Vietnam’s industrial working class. Around 80% of factory workers in export processing zones are young female migrants between the ages of 18 and 30. The majority of workers leave or get spat out of the production process by their late 30s and return to rural areas, exhausted from the intensity of factory work. This is exacerbated by the near impossibility of being able to build savings for a family life in the city. This condition is aggravated by the household registration system (hộ khẩu), which makes accessing public services in the city difficult for migrants — similar to China’s hukou system. After returning to their hometowns, many ex-workers use their “retirement” payouts to try to start small businesses or invest in some other means of production, such as buying a small plot of land or farm equipment. Despite the legalization of strikes, however, no strike has ever been legal. To legally go on strike involves jumping through numerous bureaucratic hoops: workers have to apply to a “workplace conciliation council” asking them to resolve whatever issue they have, then wait 7 days for a response. If that council’s answer is unsatisfactory, they then have to apply to an “arbitration council” and wait another 10 days. If that is also unsatisfactory, workers can then ask the union at their workplace to organise a strike. But representatives of the workplace unions are often themselves part of the company management, and the union is state-led, under the Vietnam General Confederation of Labour (VGCL). The executive committee of the workplace union makes a decision about the strike and then notifies the labour bureau and the provincial trade union, explaining the day when the strike will take place and the reasons for striking. This, of course, gives the company advanced notice so that they can make arrangements to minimise the strike’s impact. It’s no wonder that Vietnamese workers rarely go for this legal course of action. Instead, all strikes have been wildcat strikes. 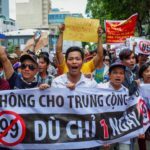 Simply legalising strikes and setting up a system of collective bargaining — as observers across the political spectrum have long been advocating for China — have thus clearly failed to stem the tide of wildcat strikes and other unruly forms of resistance in Vietnam. In such strikes, workers typically turn up for work one morning and refuse to enter, seemingly without prior warning. Despite this appearance of spontaneity, these strikes are often well organised beforehand. Informal strike leaders often circulate leaflets announcing the strike to other workers. Such actions are usually initiated by a small group of workers, but eventually the entire workforce walks out and assembles in front of the factory. The vast majority of strikes centre on wage demands, but some strikes also demand better treatment, such as clean food or more toilet breaks. Throughout the 1990s and into the 2000s, local officials from the Department of Labour and the VGCL would immediately go down to the strike as soon as they heard about it, trying to persuade workers to resume work. Now, however, they are often more relaxed about such incidents, allowing workers and managers to try and resolve the matter by themselves. And often they do, with many strikes lasting no more than a day or two before quickly negotiating a compromise. If a resolution isn’t achieved after a few days, local state and union officials get involved and help broker the negotiation. Observers outside the country often look at strikes in Vietnam and get excited: there have been more strikes in Vietnam than any other Asian country over the past 10 years, they regularly bypass official union structures, and they are unabating. Could they be the cradle of a new labour movement? Some observers, with a rather teleological view of class consciousness, argue yes. Anita Chan and Kaxton Siu are the two most prominent proponents of this idea. Strikes, they argue, build consciousness and embolden workers. Such proponents make bold claims about what the large number of strikes in Vietnam tell us about workers there: that their class consciousness has far surpassed that of Chinese workers, for example. 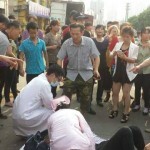 A ‘narrow focus on legal rights’ in China ‘has a delimiting effect on workers’ consciousness’, while Vietnamese workers ‘have developed a knack for organizing strikes and how to strategize and have gained valuable experience in collective solidarity in industrial actions.’ The situation can only move forward from here: ‘When’ (not if) this happens, ‘the present authoritarian regime in Vietnam will be seriously challenged’. Perhaps there is some evidence for this. Wildcat strikes seem to bear similarities with “mushroom unions” — trade unions that “are formed at the start of, or during a strike, and disband quickly afterwards (regardless of whether the strike ends in victory, defeat, or compromise)”. There have been plenty of examples of these throughout history: Argentina in the late 1800s, Calcutta jute workers from the 1920s, Nigeria in the 1950s, Britain in the first half of the 19th century, and Jewish workers in the United States in the early 20th century. In all of these examples, union-esque organisations appeared whenever there was a dispute, strike or outburst of labour protest, but disintegrated (and were expected to) once the matter was settled. The mushroom unions were one of the precursors to what became quite a strong labour movement in the West in the following decades. As has been convincingly argued elsewhere, however, the historical workers’ movement, which reached its revolutionary zenith in the West between the world wars before working out various institutionalised arrangements of social compromise, emerged from a specific historical and geographical context that allowed for stable growth capable of financing such arrangements (the welfare state, etc.). The opportunities presented by that time and space are now over and cannot be recreated or salvaged. The structure of capital accumulation has changed. Projected long-run and stable capital accumulation sustained these movements and eventually their institutions of compromise. 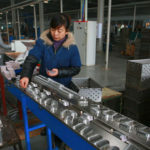 But this is no longer possible for more recently industrialised countries like China and Vietnam, where changes in industrial composition and falling rates of profit make wage demands ‘illegitimate’ or unsustainable in the sense that they ‘can’t result in the creation, even for a few decades, of a high-paying blue-collar sector’. Furthermore, such a settlement in the West arguably restricted militancy by creating a consensus around the limit of what could be demanded, and by legitimating the wage demand and wage relation. There is no point pining for a model of post-War, social democratic trade unionism that now lies in ruins, willing it to be recreated. Others accept that this is a model which is neither possible nor desirable in the current epoch, looking to wildcat strikes positively for a different reason. Soe Lin Aung, for example, takes wildcat strikes across East and Southeast Asia — especially in Myanmar, but also including China and Vietnam — and places them within ‘the time of riots’. Something is brewing, the author says. It doesn’t look like the old Western, labourist, tripartite unionism, and may well be explicitly opposed to it — much to the chagrin of NGOs and fledgling union federations who dream about copying such a model — but something is happening. Eli Friedman, in a recent article critical of labour activists in China who try to follow Western union models, celebrates the fact that collective bargaining initiatives in China are dead, asserting that ‘the situation is excellent’. Collective bargaining initiatives were always about increasing the power of the state and capital at the expense of workers, anyway, so we should not mourn their death, he says. Rather, this is an opportunity to fight for more radical alternatives, such as Universal Basic Income. But is this really the beginning of something new? The radical alternatives that Friedman imagines are not, he admits, being discussed, debated or fought for within China. The situation is not excellent. In Vietnam, a closer look at wildcat strikes reveals that they may be stuck going nowhere. Such strikes have become a de facto accepted and established practice in Vietnam. In the mid-1990s, the state and its organs were nervous about strikes, but the government has gradually become more relaxed about them. Now, they are seen as an ordinary part of industrial relations, so long as they don’t make demands beyond their immediate workplaces. Consequently, very few strikes go beyond bread and butter issues. As in China, they are ‘explicitly revindicative in nature,’ making ‘very specific, local demands of existing powers’. And despite being ‘remarkably successful’ in achieving at least one of their immediate demands, ‘they are also short actions that lead to quick fixes. The result is that the problems repeat themselves, and workers have to make the effort to strike again and again to meet basic demands’. This is collective bargaining by riot, but without any lasting impact. The exceptions are the few strikes that become aimed at government policy. They are usually big affairs, and heavily reported by both domestic and international media. In recent history, the 2005-2006 minimum wage strike wave is usually cited as a highpoint. These strikes began in December 2005 to protest the minimum wage in foreign-invested factories, which had been frozen for 7 years, despite inflation. As a result of the strikes, the minimum wage was raised by 40%, and a framework was set up to implement annual minimum wage increases. The key roles played by the two labour newspapers are also highlighted in most analyses of this strike wave. These two papers, Labour (Lao Động) and Labourer (Người Lao Động), are part of the VGCL state-led union, but came out batting for the workers during the strike wave. They acted as a key channel of expression for workers’ demands, and also as a way for workers to keep track of government discussions as they were happening. This strike wave came at a very specific moment, however: when Vietnam was preparing to join the WTO. Consequently, journalists and others were given more freedom to report on such issues as a way to try and show the international community that Vietnam was ready to join the organisation. After Vietnam acceded to the WTO in 2007, such journalistic freedoms were tightened, and since 2008 the labour press have had less freedom to lobby on behalf of workers. Furthermore, the framework for annual minimum wage increases, set up in response to the strikes, involves the Ministry of Labour, the VGCL, and the Vietnam Chamber of Commerce and Industry negotiating among themselves how much each year’s increase will be. This was certainly a victory, but one which, far from creating a militant consciousness, gave the state legitimacy as the arbitrator of labour relations. 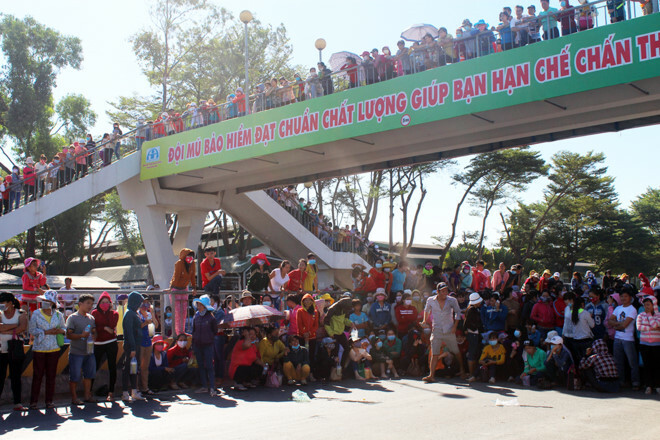 In 2015, over 90,000 workers in Ho Chi Minh City struck to oppose a proposed change in the social insurance law. Previously, workers had been allowed to take out their pensions (to which they contribute during their years working) as one lump sum payment when they stopped working — usually by their late 30s, as noted above, when many workers return to rural areas. Many rely on this payment, using it as capital to set up microbusinesses back in their hometowns, to pay for education and training, or to pay for crises such as family illnesses. The new law would have made workers wait until the official retirement age — 55 for women, 60 for men — before they could draw their pensions. Understandably, this was unacceptable to the workers, who leave industrial work years before the official retirement age, so they struck to oppose the law. The strike was successful, and the law was amended to allow workers to choose whether they get their pension as a lump sum whenever they stop working or wait until the retirement age. The fact that workers forced a change in national policy through strike action may be celebrated. However, the strike was not demanding anything new. It again depended on the legitimacy of existing state-regulated labour relations, offering no political vision beyond hoping that the state may hear workers and act on their behalf. Furthermore, the strike was only a small victory, leaving systemic and unresolved problems with the social insurance system and law, as explained by Angie Ngoc Tran. Firstly, companies often refuse to pay their required share with no consequence, while others flee the country and take workers’ social insurance contribution with them, leaving workers with nothing. Secondly, the social insurance fund has a major deficit and may well be bankrupted in the next few years. Thirdly, the lump sum payment to workers is only a short-term benefit. Workers know this, but have little other choice. There is little sign that these strikes will ever move beyond the current situation. Every few years, there is a strike wave that observers become excited about, but this then recedes to the normal few hundred strikes per year. There is ‘little evidence to support the romantic belief that participation in’ strikes or other disputes ‘naturally generates an “explosion of consciousness” with lasting consequences’. Neither does it necessarily represent a strengthening of working-class power. While worker activism creates pressure on capital and the state to change things, this is not the same as worker empowerment regarding ‘security of employment, right to free association, control over the labor process, and institutional bargaining power with employers’. Wildcat strikes in Vietnam are not anything to get excited about. At least not yet. Arguing that they are representative of something to come, something just around the corner, smacks of the ‘false optimism of global labour studies’ — scholarship that constantly attempts to discover and celebrate a global counter-movement or counter-hegemonic globalization by projecting scholars’ hopes onto the working class and making false claims about their class consciousness. While it is a mistake to assume that the absence of conditions for an industrial workers’ movement means the doom of any attempt to overturn the present system, it is equally a mistake to assume that the presence of localised strikes, echoing and rotating around the same pattern as they have done for two decades, represents a challenge to that system — at least in the imminent future. We may well want or need to put faith in Vietnamese proletarians, who are closer to the core of global production than those in many other countries, but we must be honest about the current situation. Let us not be misled by thinking Vietnamese industrial conflict is the hotspot to be watching, or that industrial workers in Vietnam are the essential revolutionary subject of the present or near future. Recent trends of Vietnamese manufacturing jobs becoming more informal, temporary and dispersed only decrease the likelihood that something resembling the historical workers’ movement will emerge here. For an overview of radical movements opposed to Ho Chi Minh’s Communists during this time, see Ngô Văn, 2010. In the Crossfire: Adventures of a Vietnamese Revolutionary, Oakland: AK Press. This history is very hard to piece together. It has been complicated by CPV historiography, which claims several disparate outbreaks of strikes and militancy as part of the early communist movement. The official narrative also includes stories of strikes and underground unions which have little evidence of ever existing. For a discussion of some of these, see Giebel, C., 2004. Imagined Ancestries of Vietnamese Communism: Tôn Đức Thắng and the politics of history and memory, Seattle: University of Washington Press. Beresford, M., and Nyland, C., 1998. ‘The Labour Movement of Vietnam’, Labour History, 75 (Nov), pp. 57-80. Wehrle, E.F., 2005. Between a River and a Mountain: The AFL-CIO and the Vietnam War, Ann Arbour: University of Michigan Press. See Tran, A.N., 2013. Ties That Bind: Cultural Identity, Class, and Law in Vietnam’s Labor Resistance, Ithaca, NY: Cornell University Press; chapter 2, ‘Labor Protests in the Republic of Vietnam (1954-1975)’, pp. 63-110. Vu, T., 2005. ‘Workers and the socialist state: North Vietnam’s state-labor relations, 1945-1970’, Communist and Post-Communist Studies 38, pp. 329-356: 338. Beresford and Nyland, ‘The Labour Movement of Vietnam’: 74-75. Data from the Vietnam General Confederation of Labour (VGCL). Tran, A.N, and Norlund, I., 2015. ‘Globalization, Industrialization, and labor markets in Vietnam’, Journal of the Asia Pacific Economy 20(1), pp. 143-163: 153. Probably the most prominent advocate of such reforms has been the China Labour Bulletin, but this seems to be a shared assumption across the political spectrum outside the Chinese state and, to a more limited extent, within it. In Guangdong, the provincial government and federation of state-controlled trade unions attempted to establish a system of workplace union elections and collective bargaining from 2010 until the leadership was replaced by a more conservative faction that scrapped these reforms in 2013. Pringle, T., and Clarke, S., 2011. The Challenge of Transition: Trade Unions in Russia, China and Vietnam, Basingstoke: Palgrave Macmillan: 69. Chan, A., 2011. ‘Strikes in Vietnam and China in Taiwanese-owned Factories: Diverging Industrial Relations Patterns’, in A. Chan, Ed., Labour in Vietnam, Singapore: ISEAS Press, pp. 211-251: 243. For papers making similar assumptions, see Chan, A., and Wang, H., 2004. ‘The Impact of the State on Workers’ Conditions – Comparing Taiwanese Factories in China and Vietnam’, Pacific Affairs, 77(4), pp. 629-646, and Chan, A., and Siu, K., 2015. ‘Strikes and Living Standards in Vietnam: The Impact of Global Supply Chain and Macroeconomic Policy’, in I. Artus, U. Blien, J. Holland, P.T.H. Van, Eds., Labour Market and Industrial Relations in Vietnam, Baden Baden: Nomos. Siu, Kaxton, 2011. 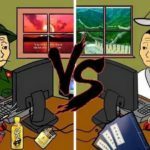 ‘The Vietnam Strike Wave’, http://www.amrc.org.hk/content/vietnam-strike-wave. Van der Linden, M., 2008. Workers of the World: Essays Towards a Global Labour History, Leiden: Brill: 226. ‘Overcoming Mythologies: An Interview on the Chuang Project’, http://chuangcn.org/2016/02/overcoming-mythologies-interview/ . 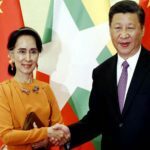 Soe Lin Aung, 2017, ‘Notes on a Factory Uprising in Yangon’, http://chuangcn.org/2017/03/yangon-factory-uprising/. Friedman, E., 2017. ‘Collective Bargaining in China is Dead: The Situation is Excellent’, Made in China 2(1), pp. 12-15. 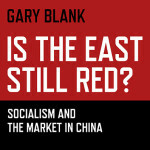 Chuang, ‘No Way Forward, No Way Back’, http://chuangcn.org/journal/one/no-way-forward-no-way-back/. Anner, M., 2015. ‘Labor control regimes and worker resistance in global supply chains’, Labor History 56(3), pp. 292-307: 300. See a pair of articles by Tran, A.N., 2007. ‘Alternatives to the “Race to the Bottom in Vietnam: Minimum Wage Strikes and Their Aftermath’, Labor Studies Journal, 32(4), pp. 430-451. And, ‘The Third Sleeve: Emerging Labor Newspapers and the Response of the Labor Unions and the State to Workers’ Resistance in Vietnam’, Labor Studies Journal, 32(3), pp. 257-279. Hyman, R., 1973. ‘Industrial Conflict and the Political Economy: Trends of the Sixties and Prospects for the Seventies’, Socialist Register, pp. 101-153: 126. Lee, C.K., 2016. ‘Precarization or Empowerment? Reflections on Recent Labor Unrest in China’, The Journal of Asian Studies 75(2), pp. 317-333: 319. Burawoy, M., 2010. ‘From Polanyi to Pollyanna: The False Optimism of Global Labor Studies’, Global Labour Journal 1(2), pp. 301-313: 301. Burawoy, M., 2013. ‘Ethnographic fallacies: reflections on labour studies in the era of market fundamentalism’, Work, Employment and Society 27(3), pp. 526-536: 530.